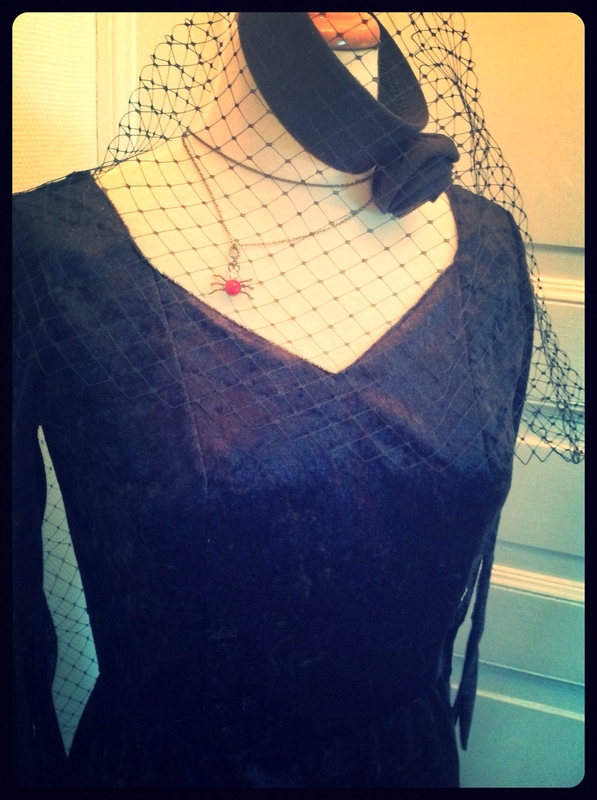 FIRST TRY FOR MY DREAM DRESS: VAMPIRA STYLE! 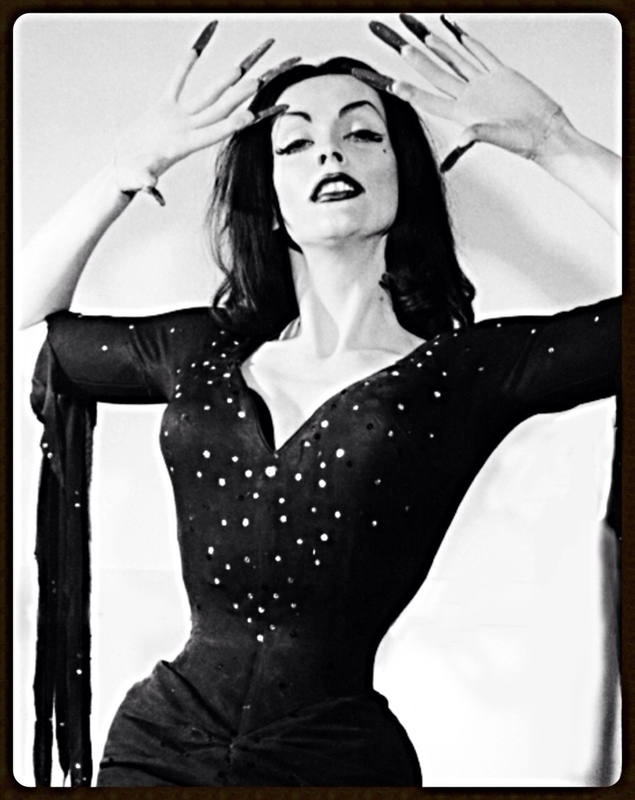 Maila Nurmi aka Vampira is one of my fav icon and definitly represents a beautiful mix of the woman' s aesthetics I like. Her long black hair, her perfectly framed face, her amazing eyebrows, her surreal figure, all wrapped in total Goth presence, are close to my idea of perfection. I ve been dreaming for a while to get a ragged sleeves dress like her, but couldn t find the time, motivation or courage to begin to sew one. I thought going to the Première of Shell Shock ( an Opera written by Nicholas Lens and Nick Cave) in Brussels this week would kick me enough to finish it for this very special occasion, but a ( even two in less than a month) bad flu plus all kinds of stupid excuses ruined my plans. 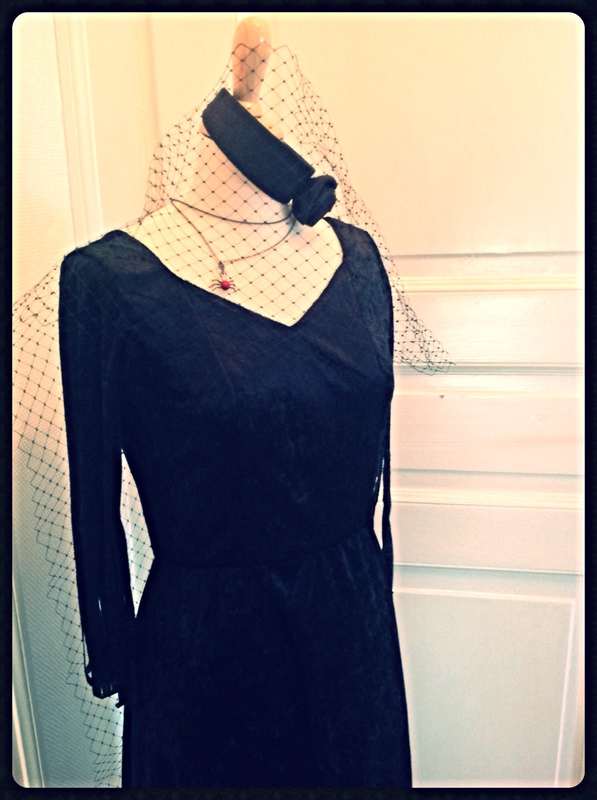 I didn t have enough fabric to make the sleeves as long as I wanted so I think the dramatic effect is not reached and it looks a bit more like a squaw dress, lol! I was a bit lazy at the end, and as every seamstress should know : YOU LL HAVE TO PAY FOR YOUR LAZINESS SOONER THAN YOU THINK! Well I didn t take the time to grade properly the waist seam and it shows by adding bulkiness in this delicate area! Also I m not so sure about the princess seam for the bodice, I ll need to make an other try maybe with darts. 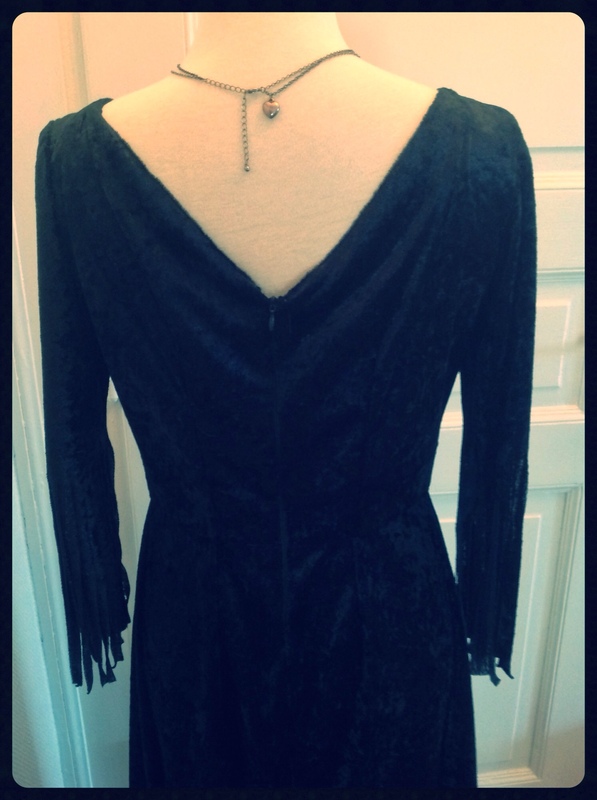 Next step after I m totally done with the perfect muslin, might be to use the amazing silk velvet waiting in my drawers…..FREAKY!! !